CHILDHOOD IS THE TIME WHEN YOU LIKE JERRY AND ADMIRE HIS SMA - ProudMummy.com the Web's Community for Mums. CHILDHOOD IS THE TIME WHEN YOU LIKE JERRY AND ADMIRE HIS SMARTNESS. 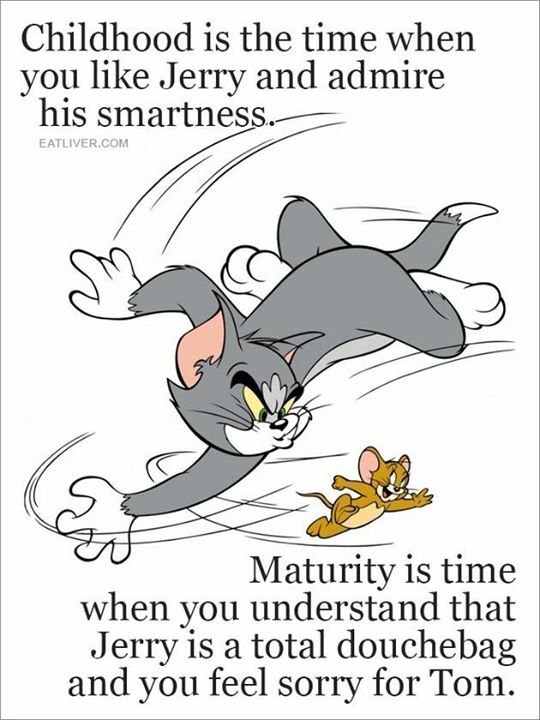 MATURITY IS TIME WHEN YOU UNDERSTAND THAT JERRY IS A TOTAL DOUCHEBAG AND YOU FEEL SORRY FOR TOM.